We’ve all done it. Procrastinated when we have had a mountain of work to get through! Tidied up the desk, studiously avoiding that loooooong To Do list. Checking Facebook. Scrolling through some of the latest articles on LinkedIn. Made ourselves a cup of tea. And if you work from home, popped a load of washing on or made a bed. ANYTHING to get out of tackling that to do list because well, it’s really long and quite frankly, you simply do not know where to start. My hand is up too. I am guilty of procrastination every now and then. 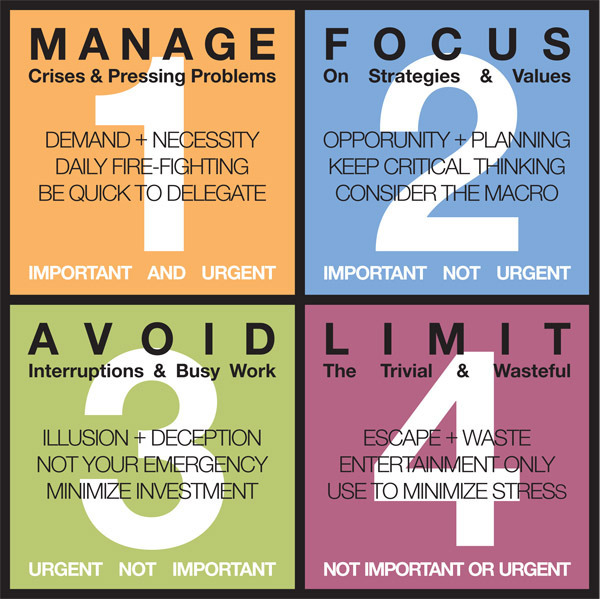 In my book, Secret Mums Business, I talk about task prioritisation and because there is no point in re-inventing the wheel, I share Stephen Covey’s Priority Quadrant. This is task prioritisation at it’s finest. There really is no excuse when you follow his approach. Okay, so let’s look at the fancy graphic. Nice……. Okay, now lets talk through some examples of each of these. These are priority one cases. You may be putting fires out. If your website is down, prioritise working on getting it back up. Same with email issues. You need to remain connected. If a customer is unhappy, prioritise getting them back on side. Getting the kids out the door to school in the morning so they’re not late! Now with these sorts of tasks, often the urgency is placed on you by someone else. If this happens, remember to ask yourself whether it’s THEIR urgent issue or yours. This could include tasks such as business planning, booking tickets to the next network event you are attending, helping the kids with their assignments (that’s if it’s not the night before it’s due – otherwise you can push that right up to #1). It could also include getting your invoicing up to date and following up any outstanding debts. You can also include some of your own personal priorities in here. A walk in the park – literally – at lunchtime. Or taking time out to read a book for 30 minutes. Remember we talked about people pressing THEIR urgency on to YOU? This is where these tasks should really end up. If you are always busy doing things that are not important to you and completing tasks to please other people, there may be a problem at hand. So….something like one of the school Mums wanting you to help out with the next fundraising event that you simply don’t have time to do. Consider whether this should really be a priority in your life. If it is and you enjoy doing it, then great! Push it up to #2. 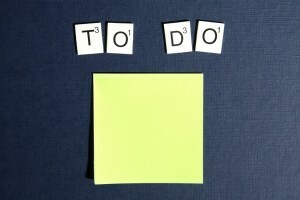 But if it’s not and you’re finding your To Do list is peppered with #3’s, you need to recalibrate. This is when your procrastination will be at it’s finest. These are time-wasters. Spending hours on social media, watching television. And small amounts of these tasks are great if they’re there to minimise stress and give you a break but if they end up impacting you completing your tasks and your #1 and #2 priority tasks, there’s a problem. SO! 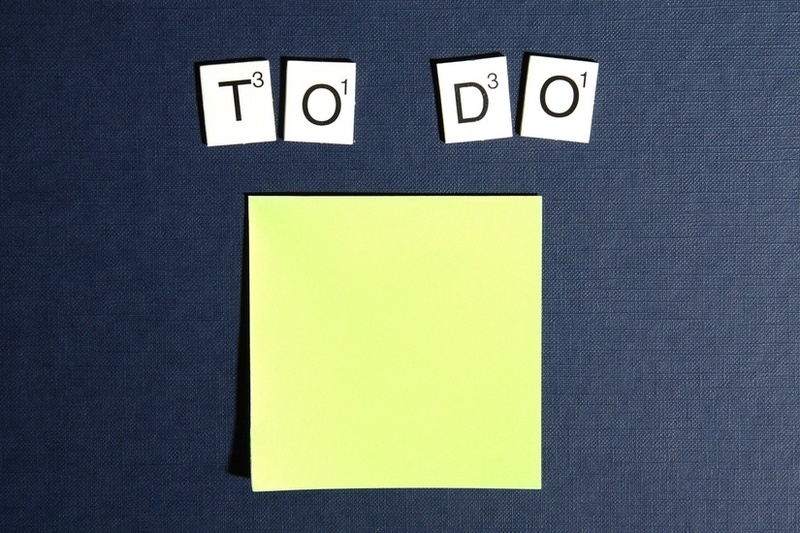 Look at your to do list – and write next to each task whether it is a #1, #2, #3 or #4. And plan your time accordingly. And honestly, nothing actually beats just cracking on and getting it done.